Enjoy Clean, Pure, Delicious Water! When you turn on the tap, you expect water that is clean, safe and suitable for drinking and household tasks. If you are concerned about contamination of your water supply or just improving it's taste and quality, then you need a company you can trust. Mountain View Pumps & Filtration, Inc. offers the best in water pumps, water filtration, purification, and water treatment supplies. 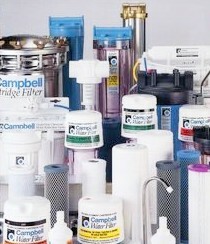 Enjoy fresh, pure water in your home with our water filters, water treatment supplies, equipment and accessories. 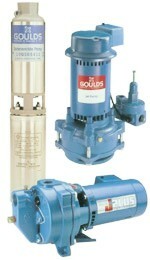 We have everything you need to complete your water well pump installation. Our wide variety of pump lines allows us to provide pump parts at a fair price. Mountain View Pumps & Filtration, Inc. provides testing, analysis and treatment for any water condition. We sell, install and service a complete line of quality water softening and conditioning equipment. Choosing an in-home water treatment system or device can be confusing and complicated if more than one water quality problem exists. With over 30 years of experience, we have the expertise to help you make the best choice for your needs. We are fully registered and licensed in the state to ensure you get the highest quality services. Serving Tacoma, Puyallup, Spanaway, Yelm, Roy, Olympia, Federal Way, Auburn, Kent, Seattle & surrounding areas in Western Washington.